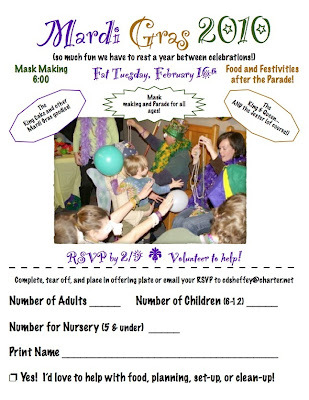 Shuck and Jive: Fat Tuesday! Woot! Party tonight at FPC Elizabethton! The weather is fine. Some light flurries is all. The church has been decorated and looks great! Join us at 6 p.m. Invite your friends.